Here is the trailer for the upcoming film INSIDIOUS: THE LAST KEY. The film is directed by Adam Robitel, starring Javier Botet, Josh Stewart, Lin Shaye. Here is the international trailer from Film District’s upcoming film “INSIDIOUS: CHAPTER 2”. The film is directed by James Wan starring Patrick Wilson, Rose Byrne, Lin Shaye, Barbara Hershey and Ty Simpkins. Film District will release INSIDIOUS: CHAPTER 2 in theaters September 13, 2013. Here is the trailer from Film District’s upcoming film “INSIDIOUS: CHAPTER 2”. The film is directed by James Wan starring Patrick Wilson, Rose Byrne, Lin Shaye, Barbara Hershey and Ty Simpkins. FilmDistrict is looking for the biggest Insidious fan ever with a chance to win a walk-on role in INSIDIOUS CHAPTER 2, directed by James Wan and written by Leigh Whannell, the team behind the original Insidious and Saw films. The lucky winner, to be personally selected by Wan, Whannell, and producer Jason Blum, will receive an all-expense paid trip for two to Los Angeles where he/she will get a walk-on role in the movie, filming now and due for release in theatres this summer. INSIDIOUS CHAPTER 2 is the sequel to 2010’s hit film that captivated horror movie audiences worldwide. Patrick Wilson, Rose Byrne, Lin Shaye and Ty Simpkins return to reprise their roles in the film, directed by James Wan from a script by Leigh Whannell, who also wrote the first film. The 2012 Newport Beach Film Festival (NBFF) proudly announces the World Premiere of JEWTOPIA as its Opening Night film. The red carpet screening of JEWTOPIA will take place on Thursday, April 26th, 2012 at 7:30pm at Edwards Big Newport ( 300 Newport Center Drive ). The Opening Night gala reception will take place at Fashion Island ( 401 Newport Center Drive ). The 13th annual NBFF will run from April 26th – May 3rd, 2012. Inspired from the international smash hit play seen by over a million people, JEWTOPIA (2012, USA, 89 minutes) stars Ivan Sergei, Joel David Moore, Jennifer Love Hewitt, Jon Lovitz, Rita Wilson, Tom Arnold, Peter Stormare, Camryn Manheim, Jamie-Lynn Sigler, Wendie Malick, Nicollette Sheridan, Phil Rosenthal, Christine Lakin, Hayes MacArthur and Lin Shaye. The story is about Christian O ‘ Connell (Sergei) and Adam Lipschitz ( Moore ) — two childhood friends who reunite as adults to help each other land the women of their dreams. Chris wants to marry Allison (Hewitt), a Jewish girl, so that he ‘ ll never have to make another decision for as long as he lives. Adam is on the verge of getting married to Hannah (Sigler), a woman he is not content with. When Chris enlists Adam’s help in pretending to be Jewish so that Allison will date him, cultures collide and chaos ensues! JEWTOPIA is the directorial debut of Bryan Fogel who co-wrote the screenplay, the stage play, and the best-selling book, Jewtopia: The Chosen Book for the Chosen People, with Sam Wolfson. The film is produced by Courtney Mizel (Tortilla Heaven), Pavlina Hatoupis (Sassypants, Frankie Goes Boom), Andy Fickman, (director of The Game Plan, Race to Witch Mountain, and the upcoming Billy Crystal / Bette Midler comedy Parental Guidance), Tucker Tooley, (Immortals, The Fighter, the upcoming Mirror Mirror), and Bryan Fogel. “It ‘ s been an incredible journey from what started as a little show in Los Angel es . I believe the film not only captures the outrageous comedy that made the stage play so popular, it also tells the universal story of cultures clashing and families getting in the way of finding true love. I ‘ m thrilled to be having our world premiere at the Newport Beach Film Festival,” stated director Bryan Fogel. Following the screening, the Festival will host an Opening Night gala at Fashion Island presented by Fashion Island and Esquire Magazine. The gala will feature culinary tastings from 35 of Orange County ’s premiere restaurants and a special speak-peek performance from the Tony® Award-winning musical, Million Dollar Quartet coming to the Segerstrom Center April 24 – May 6, 2012. Tickets to the Opening Night screening and gala are $125 each and are available at www.NewportBeachFilmFest.com starting April 1st. Patrons can also purchase tickets to the Opening Night gala for $80 each. Guests must be at least 21 years old and cocktail attire is suggested. The Newport Beach Film Festival will showcase more than 400 films from 50 countries and host nightly special events, red carpet galas, compelling conversations with filmmakers, international spotlight events and seminars. The Festival offers filmgoers unique opportunities to mingle with celebrities, filmmakers from around the globe and film industry professionals in a beautiful seaside locale. The NBFF is sponsored in part by Absolut Vodka, Fashion Island, Regal Entertainment Group, Lexus, Los Angel es Times and the City of Newport Beach . 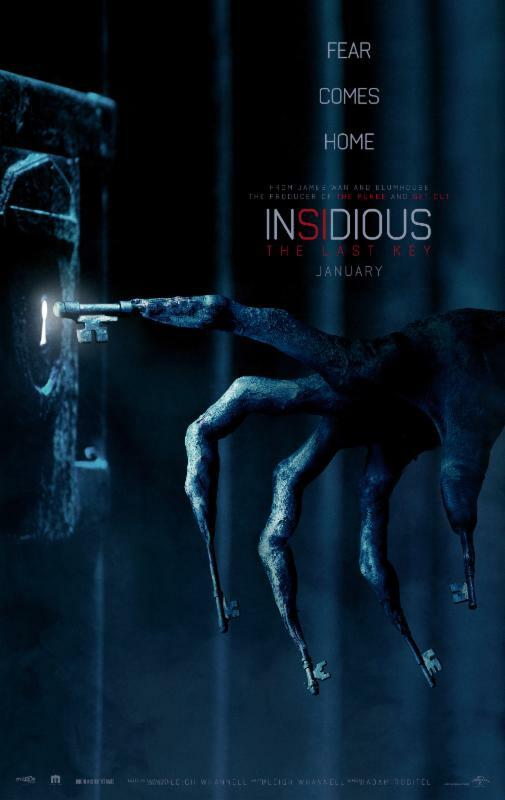 Here is the trailer from Filmdistrict’s upcoming film INSIDIOUS. The horror is directed by James Wan and Leigh Whannell starring Patrick Wilson, Rose Byrne, Lin Shaye, Ty Simpkins and Barbara Hershey. INSIDIOUS – in theaters on April 1, 2011!